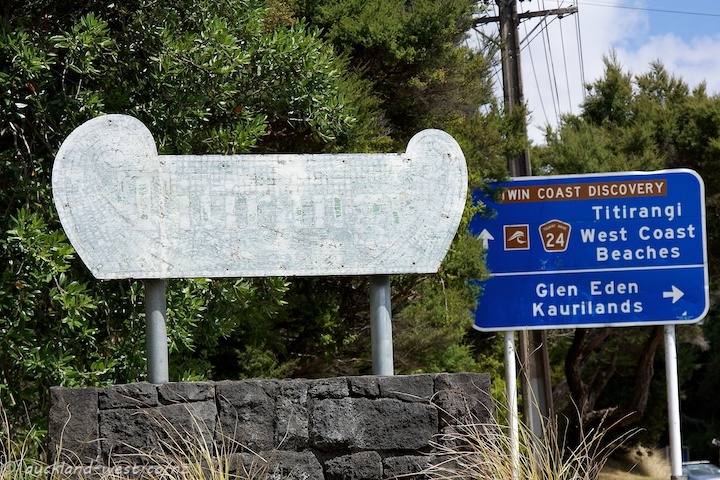 Sometime in February I noticed that the welcome sign for Titirangi had “faded” – in fact faded away completely. Earlier this month, I found that a new sign had appeared, picking up on the original design, but in a crisper version. 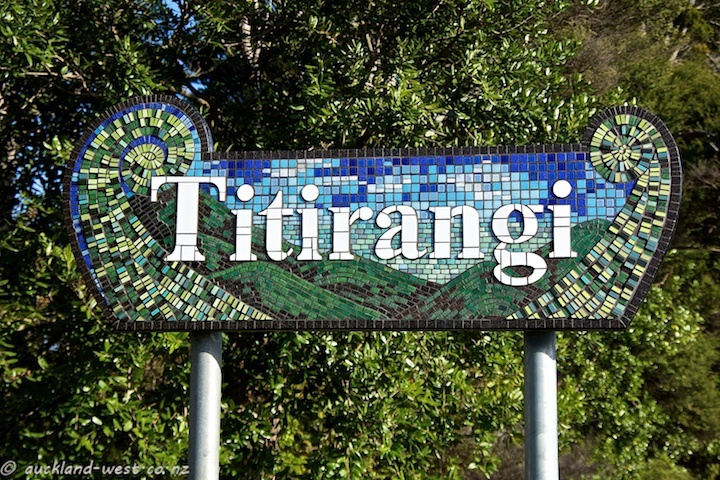 Welcome to Titirangi welcome sign Mark 3! On my enquiry, Kate Millington explained that the previous sign did not weather well, and therefore had to be replaced. My thanks to Kate for supplying the information. For comparison, I append the previous versions which appeared on this blog earlier. 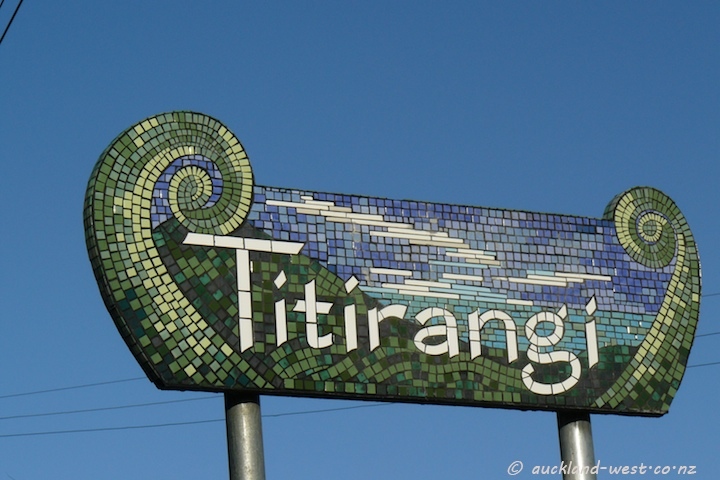 Hi there, I am the Chair of the Titirangi Ratepayers & Residents Association & I just want to correct the information you have published about the Titirangi sign. Kate has been promised payment for her work – and was promised payment before we asked her to do the work. She had no idea the sign had fallen off it’s mount (as she doesn’t live in the area), we reported that to her & asked if she would fix it. The delay in paying her is because Council’s Local Board hasn’t yet decided whether they will contribute to the cost or not. They paid for the original sign (which was stolen) and it’s replacement, which fell off it’s mount due to inadequate materials used by Kate. 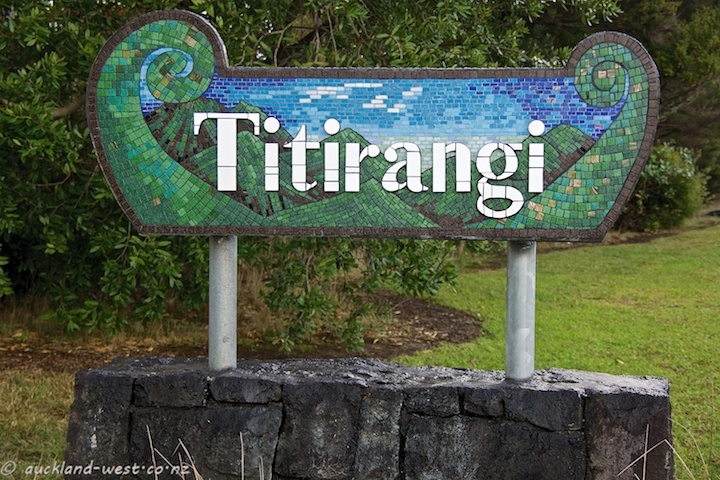 The Titirangi R&R will cover the cost if Council does not. Patience is unfortunately required when getting money out of Council as anyone who has dealt with them will know! Please will you correct the implication above that Kate is paying for it out of her own pocket & we are not covering her expenses! We have an executive meeting tomorrow at which I hope we can authorise the payment. Please feel free to call me to discuss further if you wish 021 213 7779.